Is this a first time for you visiting Nashville? Nashville is such a great city to visit with a variety of music venues, incredible talent, great food, and entertainment. In fact, in 2017 Nashville was ranked top 5 cities in the United States, according to Travel & Leisure Magazine. 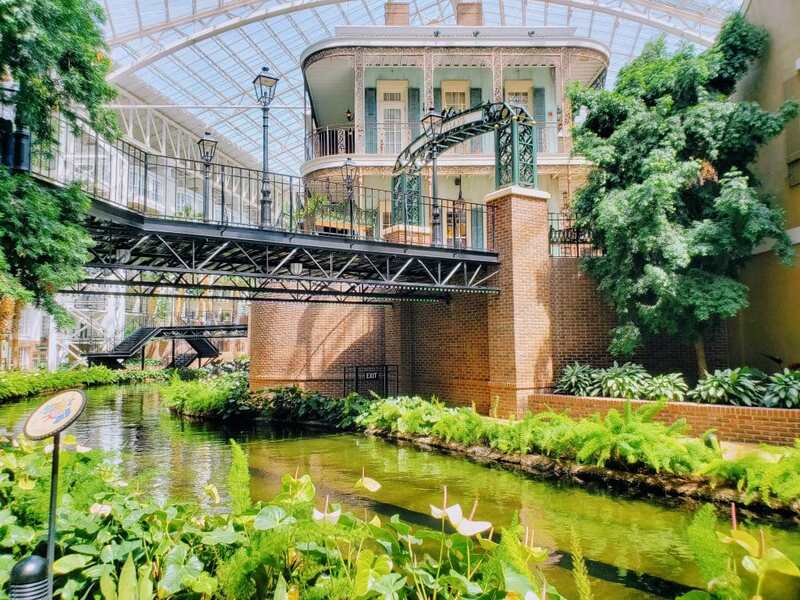 If this is your first visit, then may I recommend staying at the Gaylord Opryland Resort in Nashville. My weekend accommodations were provided to me to help facilitate this review, but my opinions are always my own. 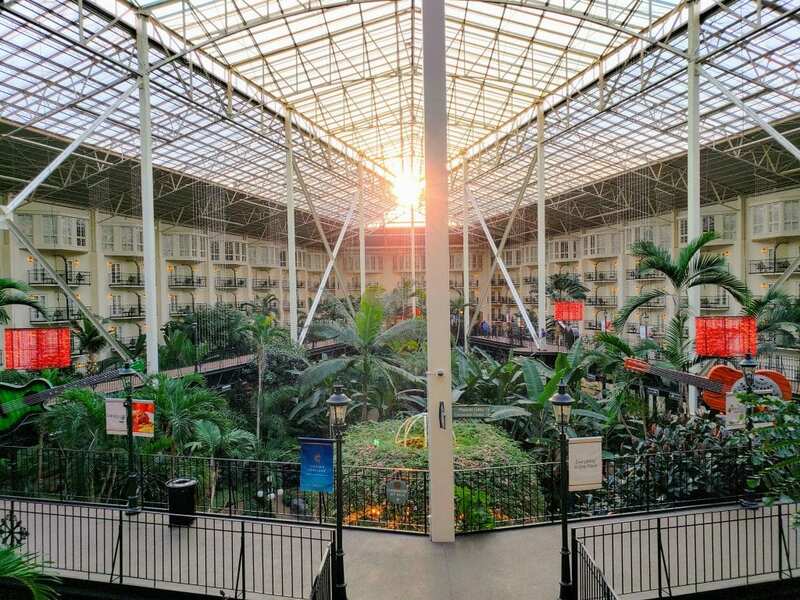 I had always wanted to stay at the Gaylord Opryland Hotel and I was ecstatic I had the opportunity. From the moment we arrived, we knew that this was more than just any hotel. This was a resort that really gave that “wow” factor. Words can’t even accurately describe the luscious gardens, the beautiful lobby, the river, and the sunlight streaming in through the skylight of the atrium. 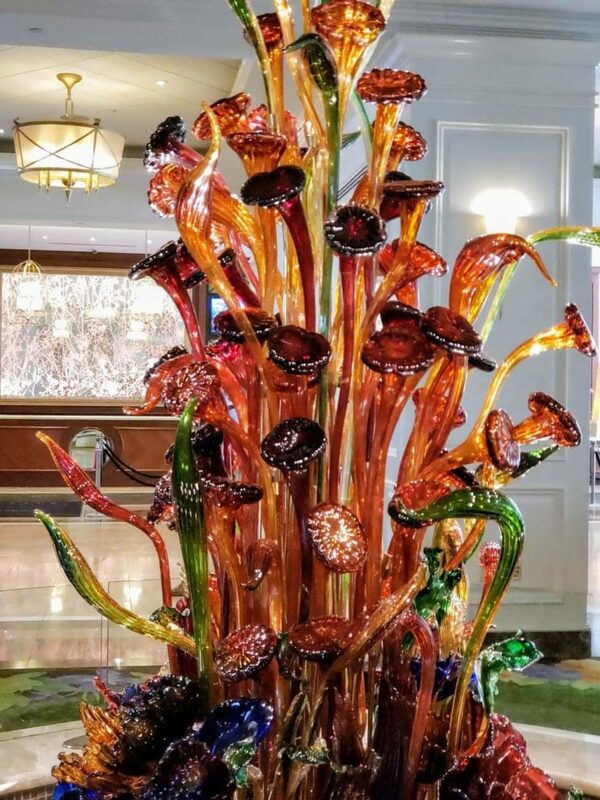 Did I mention that the majority of the interior of the hotel is filled with beyond beautiful indoor plants that are actually maintained year round by 20 full-time horticulturists? 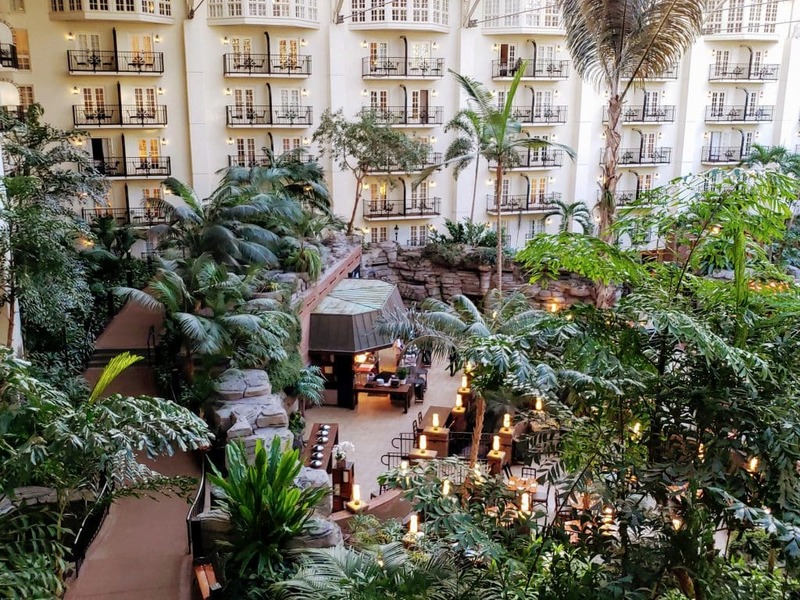 And when I say indoor plants…I literally mean that the interior of the hotel’s atriums is filled with 50,000 tropical plants. It’s quite possible to spend hours just roaming and looking at the beauty. While my family and I spent four days at this glorious hotel, I could have easily spent several more just walking around and enjoying the gardens. And when I say gorgeous, I mean gorgeous. From the moment that we entered our room, we were in awe. The room was clean, updated and had an awesome ambiance about it that flowed perfectly with the rest of the hotel. Plus, our balcony provided stellar views of the Atrium. 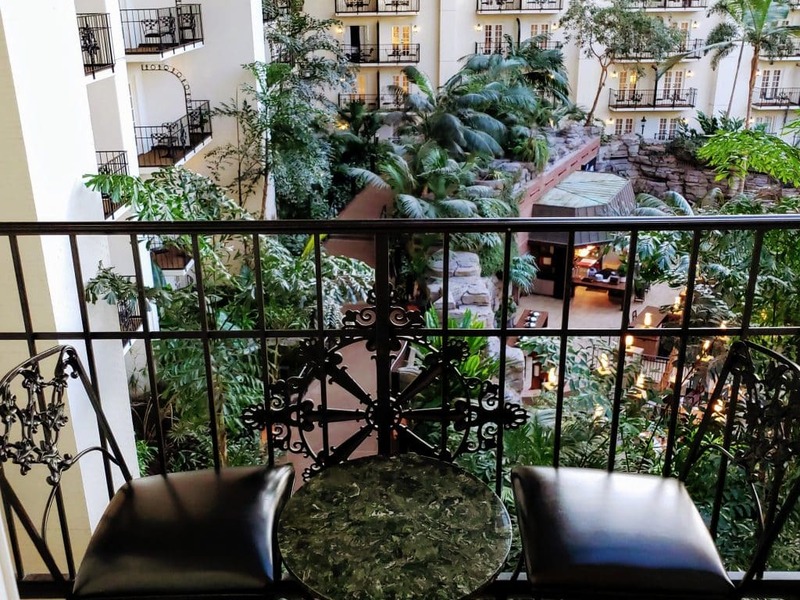 Being able to set out on our balcony at night, sipping on a glass of wine while enjoying the interior views of the beautiful plants and the sunset shining in through the Atrium glass? Stunning. If there’s an option for Valet Parking, I welcome it. 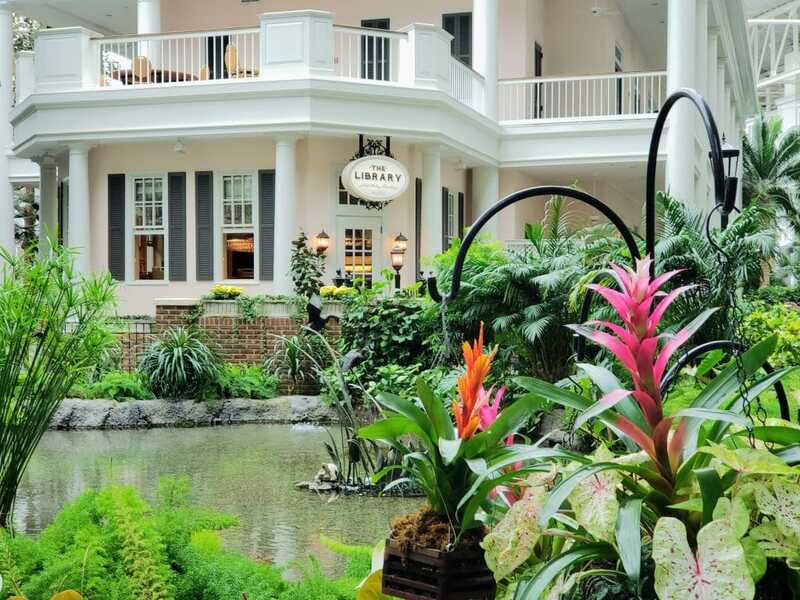 Gaylord Opryland Hotel makes it extremely convenient to use. We just literally had to pull up to the front of the hotel, and the friendly staff takes care of the rest. When we wanted to head out for the day, we would just call down for our car and it is waiting for us. Price for valet parking is $38 per night and worth every penny. 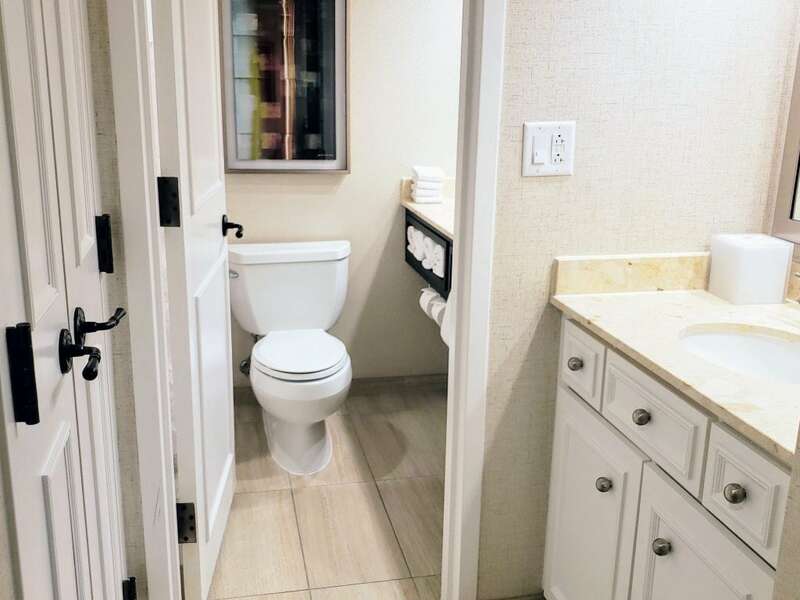 Nothing is off-limits when it comes to the amenities that this hotel has to offer. My family and I were able to take a ride on the Delta Riverboat Tour that made its way around the indoor atrium. It was the perfect way to relax a bit and learn about everything that the hotel has to offer. Price is $8.50 Child (4-11) and $10.50 Adult. You can purchase tickets directly at the Delta Riverboat Dock on the lower level of the Delta Atrium. Honestly, staying at this hotel pretty much has almost everything that you would want to do under one roof. 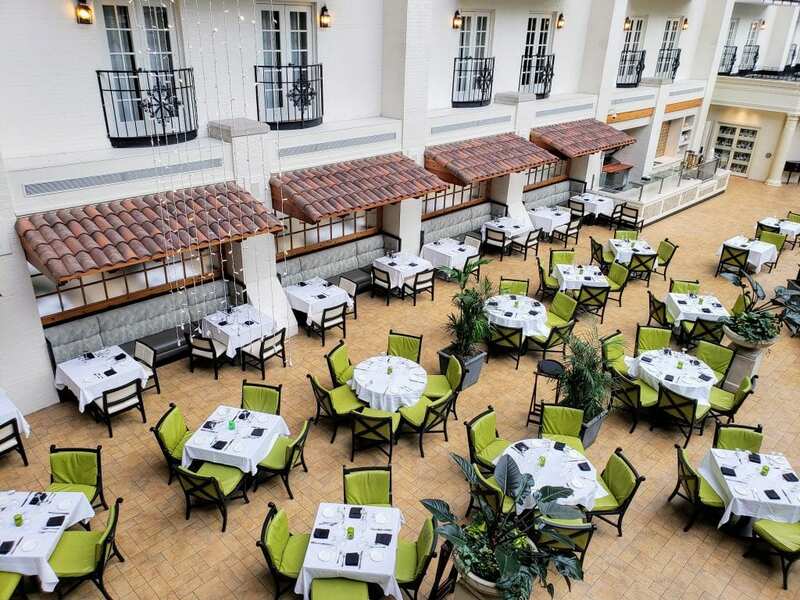 There are over 15 restaurants to choose from here! And the food? Delicious. We dined at Paisano’s Pizzaria & Vino which was a great choice for our crew. 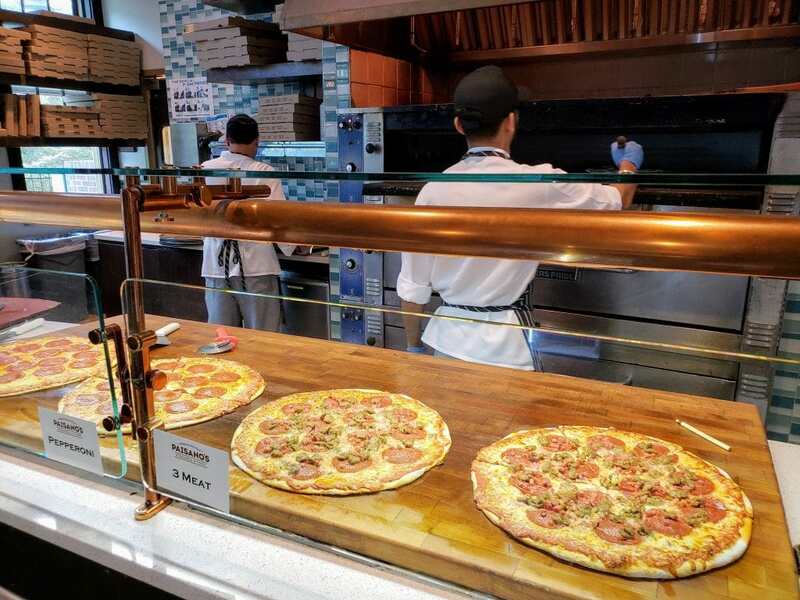 Can you ever go wrong with pizza and wine? Location matters! When I am exploring a new area, it is important to me and my family to be in a great location and close to the hotel. 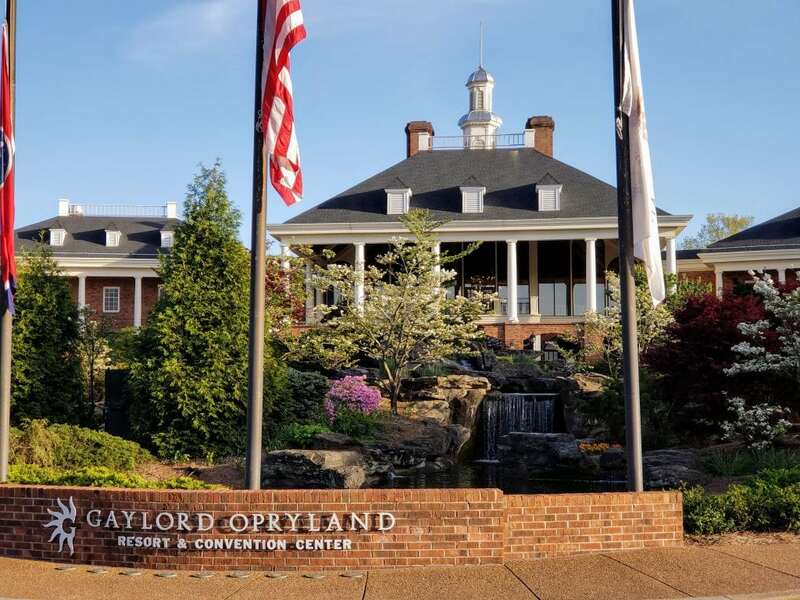 We love that the Gaylord Opryland location is very convenient to Grand Ole Opry, Opry Mills, Madame Tussaud Museum and some great restaurants as well. 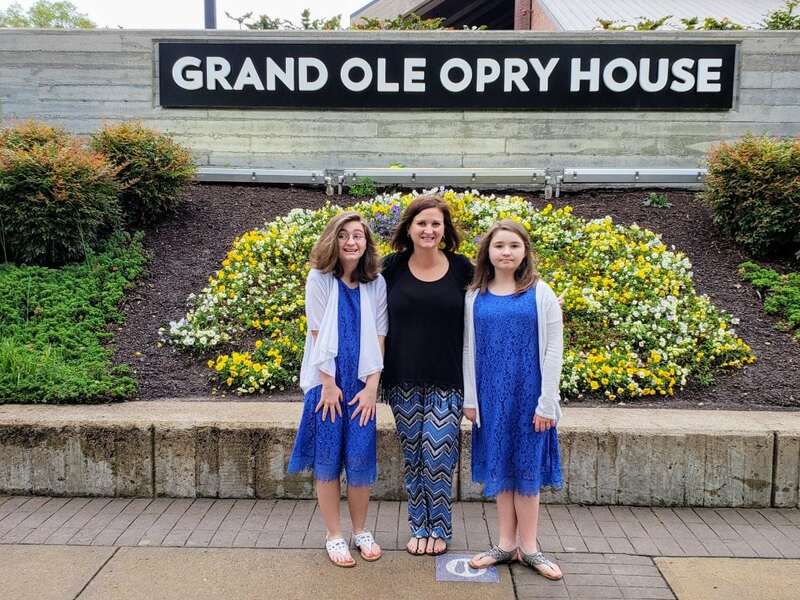 We spent a good portion of our day at Opry Mills, enjoyed some shopping, entertainment and the Madame Tussaud Museum. Across from the Opry Mills Mall is where the Grand Ole Opry House is located. 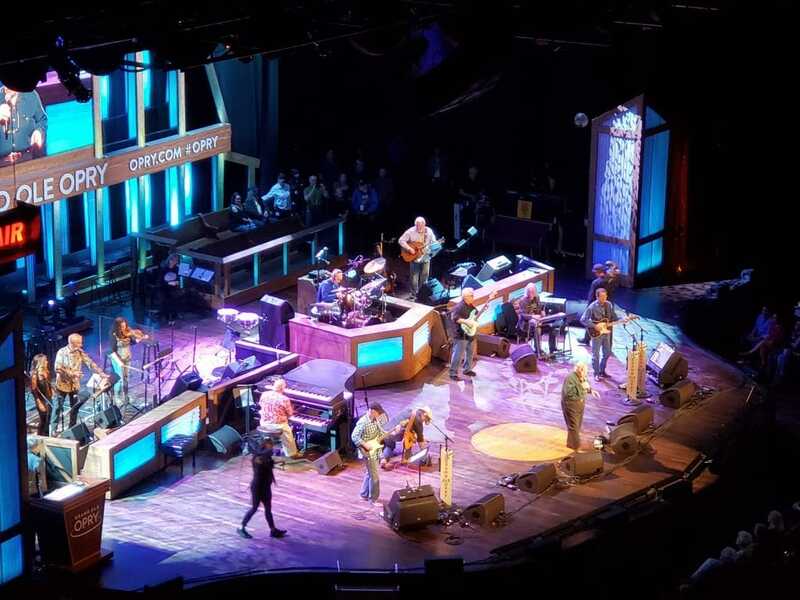 After dinner, we walked over and watched a wonderful show featuring country music artists such as Lindsay Ell, John Conlee, Drake White, Bill Anderson, and Chris Young. After a busy day exploring, it was nice to know the hotel was only a short four-minute drive back. 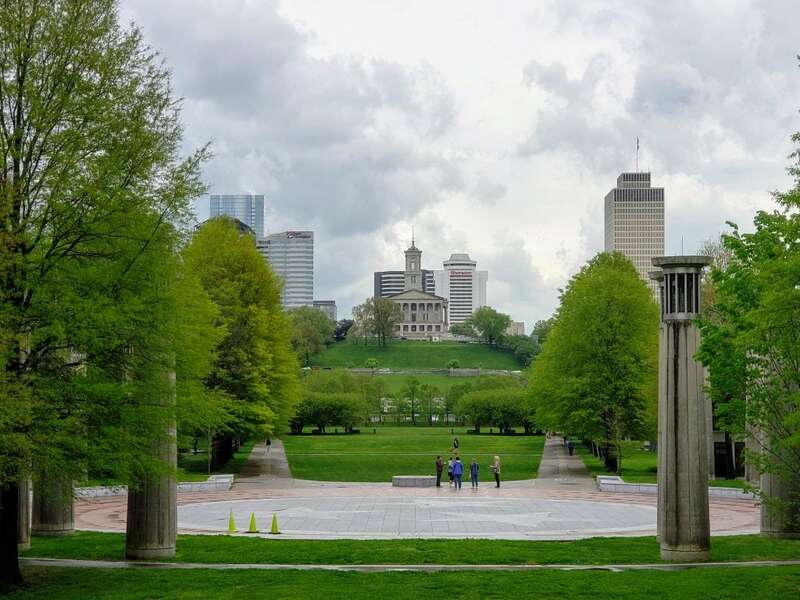 The hotel even offers transportation day passes at around $20 per person to some of these great Nashville museums and nightly entertainment. Check the concierge desk for times, price, and locations. Yes, it’s a great place to lay your head on your pillow and rest, but why would you want to when they offer a TON of other amazing things going on as well? 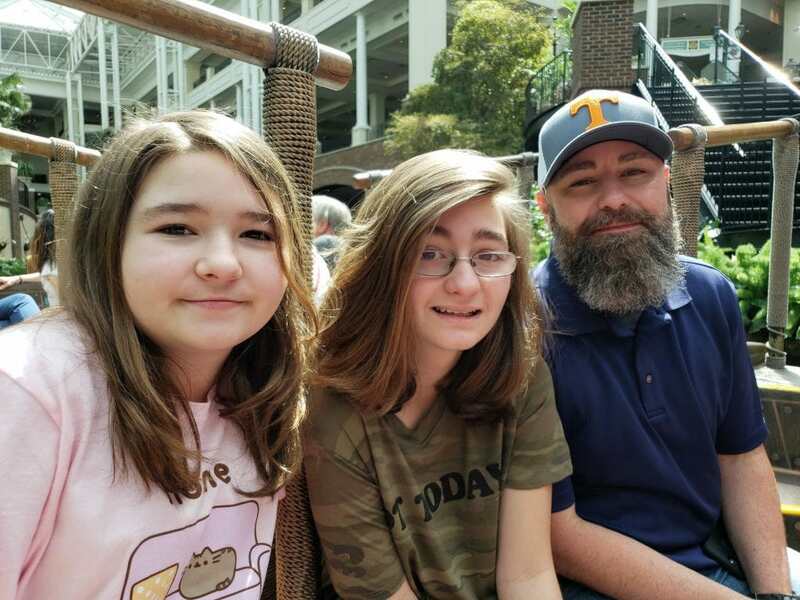 The summers are hopping at the Gaylord Opry Hotel with Summerfest. Looking for a family-friendly way to celebrate all things summer? Summerfest is a great way to do just that! They offer package deals, live venues, scavenger hunts for the whole family, and don’t forget the swimming! And speaking of swimming, opening in December of this year, Gaylord Opry land will be opening their amazing $90 million (MILLION!) water park, Soundwave. The cool part? It’s will be open year round! And totally family-friendly. Wave pool, water slides, restaurants…you name it, you’ll find it here! Just another great way that this hotel is offering more awesome experiences for all their guests! 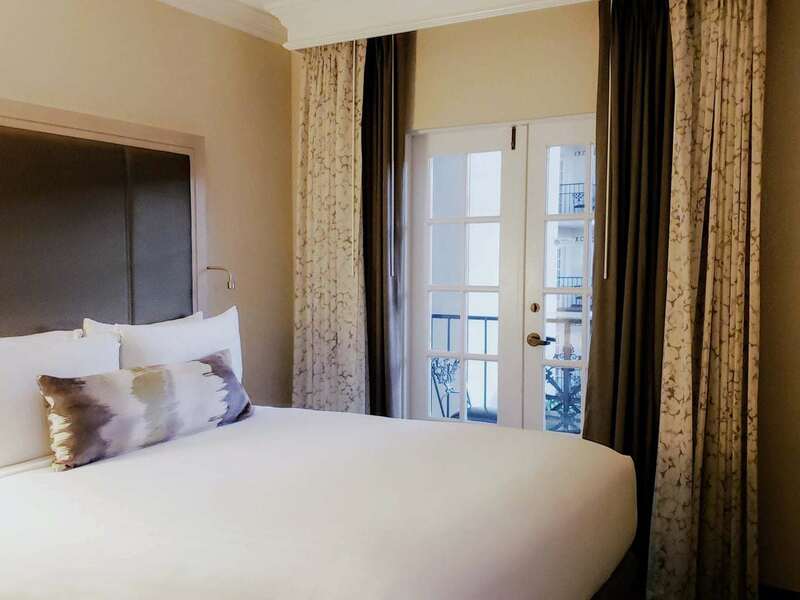 No matter your needs, Gaylord Opryland has you covered. They have meeting space available for corporate get-togethers, family reunions and any other type of needs that anyone could want or think of. And the event space that they offer is great for wedding receptions and also perfect for hosting some of that live entertainment that they are known for as well. 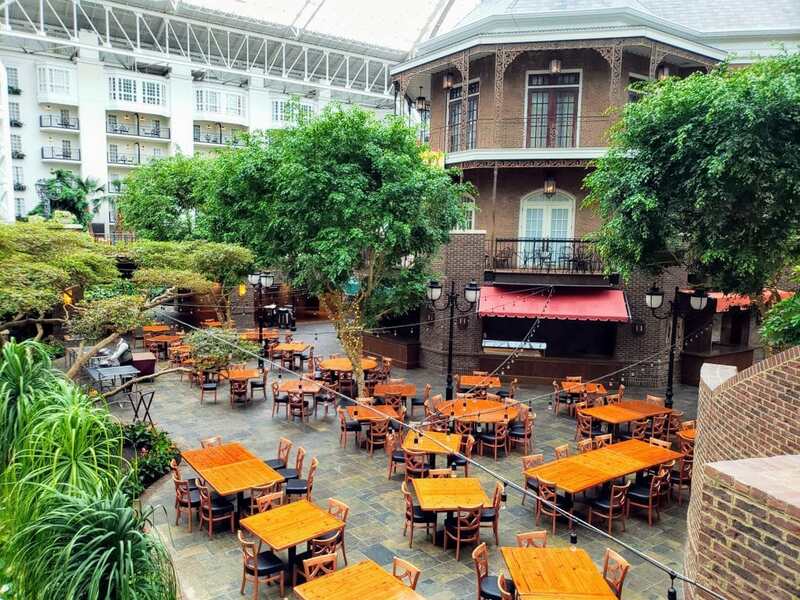 If you are looking for a great space to hold your event or meeting, Gaylord Opryland seriously offers it all. With all the restaurants that they have on site as well, you’ll have no reason to even need to leave the grounds! Not only is this hotel great for summer fun, they also have an amazing Christmas celebration also. Where else can you go and see over 3 million Christmas lights lit up and ready to be seen? Plus, live events and a ton of other family-friendly options await! 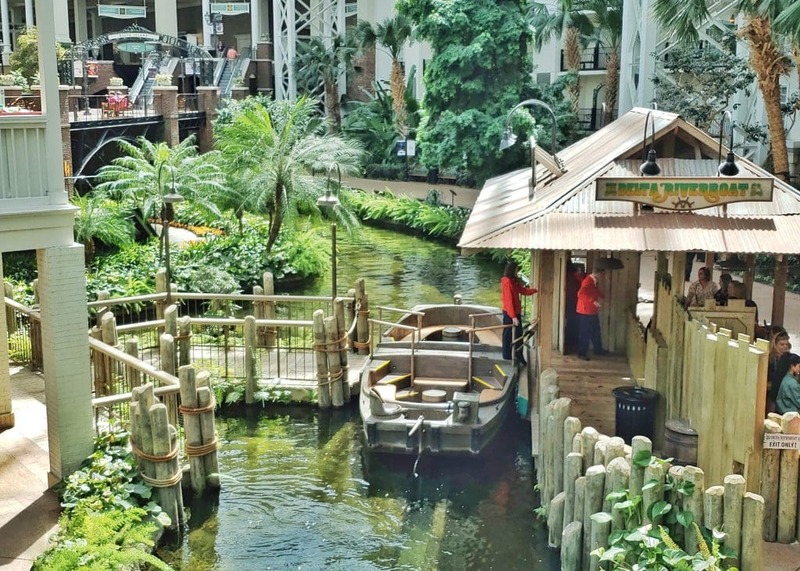 Consider spending your holiday season at the Gaylord Opryland Hotel! While my family and I stayed for 4 nights, we would have loved to have stayed even longer. And be certain that the next time that we head back to Nashville, we’ll be booking another stay at this amazing hotel! I am thinking a romantic weekend getaway for our next trip.